A stoppover in real Spain! Route 66? 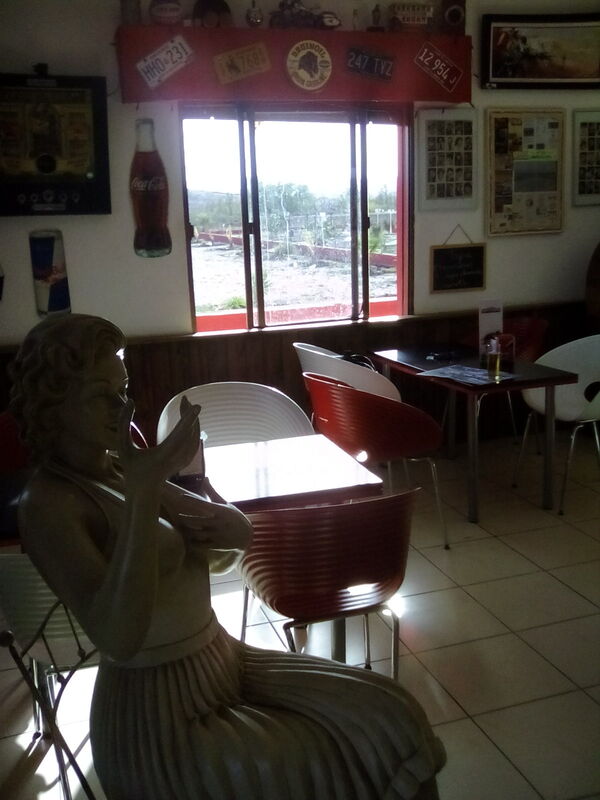 Quick pics having a rib n beer passing through…bet you never thought good ole route 66 was loved here? Thats right. This is mainland Spain , Europe. Great spot. Dry as hell. People who laff all the time, and take the time. So. 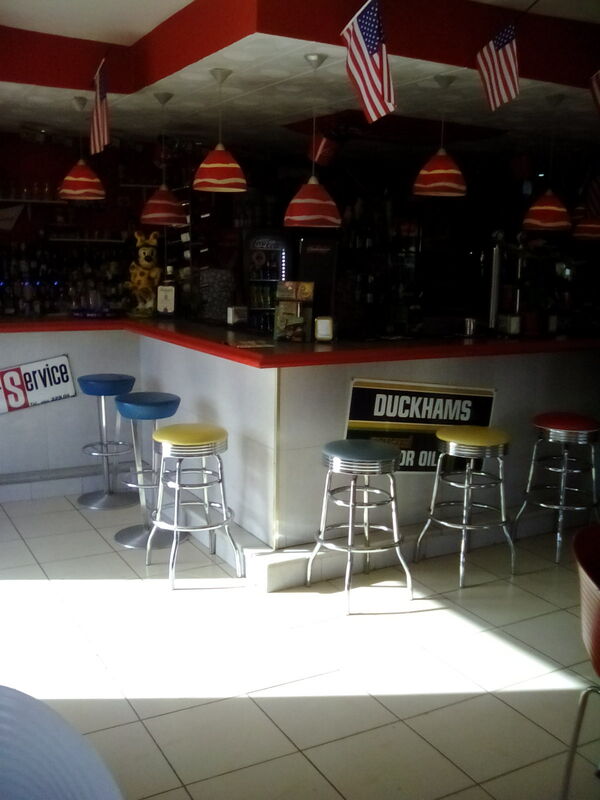 This bar is set up on the old trans med route through southern Spain by a Spaniard who lived in NY and just loved the ‘diner culture’. Thats the Sierra Nevada and 50miles to Granada city out that window. It’s bright….so the photos on this tablet are bum. It’s dusty. So Marilyn’s wispy white is covered in red dust. But it’s fun and the food and beer is good! A really quick one this week! The yacht is just off an island. Jump in with the snorkel….and GoPro..what do you see? Well amongst other things…it’s brain coral of different colours! What this means is…the dead parts of reefs are again re-establishing life. This is good news. I am sure you agree? Next up I thought I’d give you some pics of a typical early arrival in the islands so that you have a flavour of what to expect when you make your way out to the San Blas. 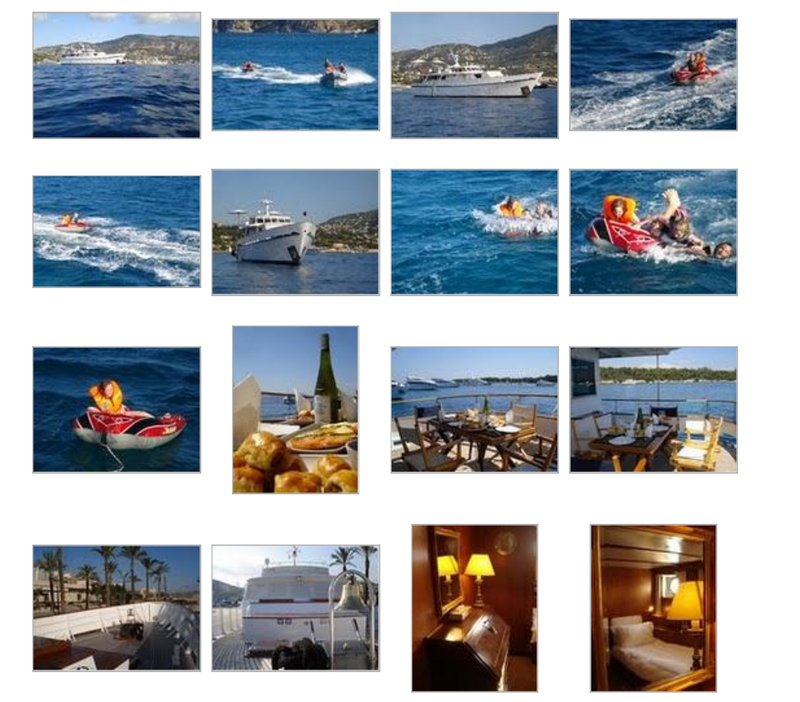 There is a gallery of pictures showing typically the early part of the trip out to the yacht, and then what you may wake up to the next morning! But dont go away because further down is a video clip of the Lancha ride out ! Its great fun and the cool breeze in your face is welcome after being in the jeep for a while. Enjoy. My favourite panorama to date by far! Clearest water in the world by Scott! However, the first buzz is your ride out…see below! 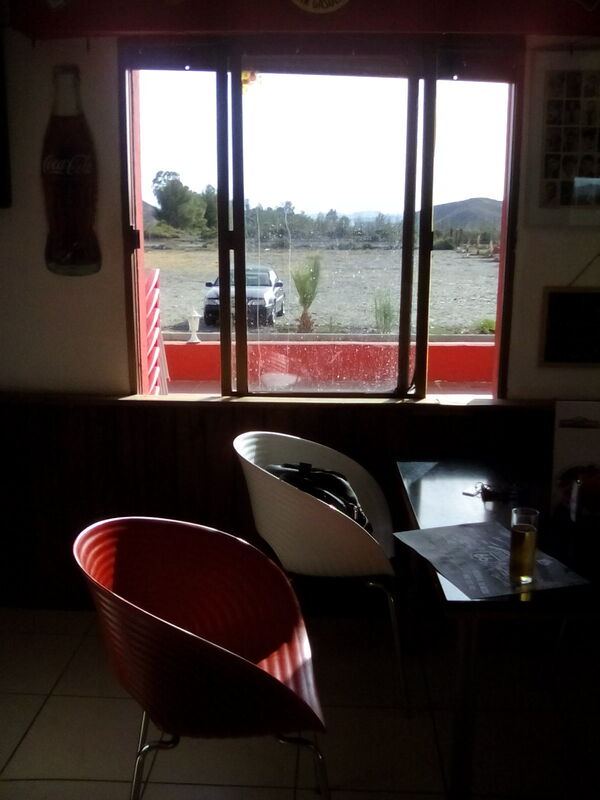 Ask a random question about getting to San Blas...why not? As promised…..the first in a series of how I see Panama in 2016! Some through my lens(es) and some through my words. You gotta scroll through these. It was my first trip back to the city in a long time. Casco is just the best place to start. 360 degree views, with such mixed interest in any one scene. Old and new , natural and man-made. Talking of man-made the single thing that has impressed me about Panama this year, is the legacy from the previous government in terms of infrastructure development. Really innovative new access to the Bridge of America, opening up the northern end of the city. The new Metro runs better than anything i have used in Europe, and, the next phase runs all the way out to Tocumen International Airport. Come down and see the city again! Its brilliant. Price Adjustment !! £1600, contact us now March 2017. This is a class specific British Sailing vessel. Its not often that you get a chance to see let alone own a great little collectable boat like this…a classic hard glass solid built Jaguar 22 with a spare brand new mainsail. The point of a vessel of this size and style….is simply the ability to move it around yourself (no cranage or lifting), and that you can sneak up the shallowest mudiest creek, and stay there the night….no problem! She comes with a sturdy 8hp mercury outboard, on a high lift transom hanger. Strong enough for the stiffest tides. Recently antifouled. Correction…can you offer £1600 ? Please do not make silly offers. This vessel is a unique find. This is a brilliant little boat for those who love Trimaran..
We not ask about our casual but high quality Yacht trips in the Caribbean -Panama and Belize and Honduras? Great memories and greetings for 2014! Greetings to my friends sailing and otherwise. My best wishes for 2014. a year of renewed opportunity in the world I feel! My year started off in a very interesting manner. I had a call ‘out of the blue’ from one of the previous owners of the above ‘lady in my life’. The above photo is a scan from times before she was under my command, but is from a real golden era of this most unique and fantastic vessel. There were only a handful built as the super luxury class of the day by Dagless yard, of Wisbech, Cambridgeshire, England. At the time she was only one of two surviving. 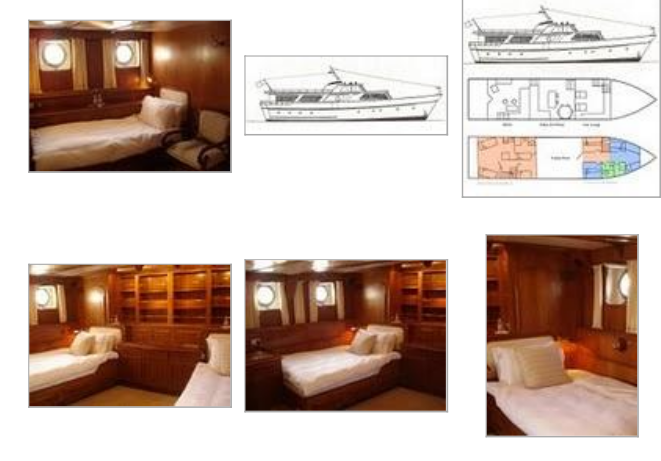 I have never met M’ but we had a great conversation and remembered and compared times aboard this incredible example of high level luxury yacht design of the day. M’ gave me the photo above. Now my time on Telamara was in Turkey a few years ago, while she was owned by my friend and owner R’. (who runs the most impressive chain of Classic country houses in Britain (as far as I can tell)) We had great times out there and you can read more detail here in previous posts. Telamara is the largest vessel I have captained, weighing in at 110tonnes for a LOA of 90feet. Now for those who know me as a sailor -as in a boat with sails – yes, I am. Of course. 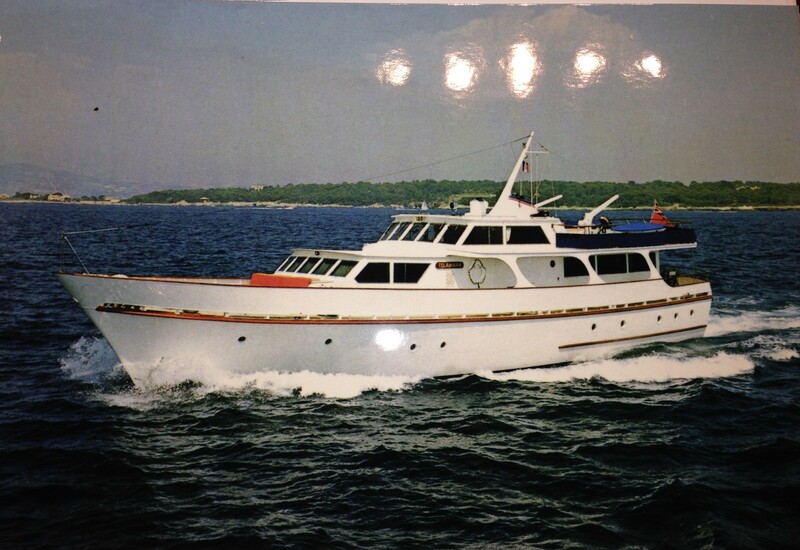 However as an engineer as well, I was morbidly drawn over to the dark side … of large motor yachts, but motor yachts with a difference: only the massive timber beasts so beautifully crafted and powered by ‘traditional’ fire breathing unsophisticated engines. Ones like Telamara’s twin turbo charged straight six 8 litre Volvo Pentas. 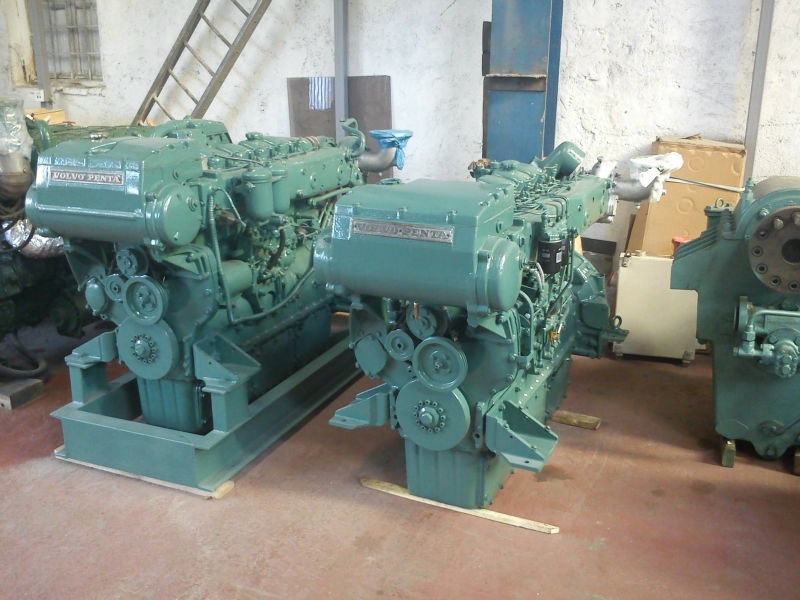 These engines drive her adequately (as Rolls Royce would say) through heavy seas. I love the basic vein-like electrics squirming all over the vessel and round the huge timber and ribs. The list goes on. I gained a lot of respect for timber vessels in recent years. Telamara, Black Penny, and Lady Lu in particular showed the golden age of timber yachts. They still show good form to this day. Telamara is all Oak and mahogany. Built in 1972 it was recorded that she was owned by one of the figureheads of rock music of the day . They say it was one of the Rolling Stones, but British law precludes details of prominent persons from being kept against major assets. I have a number of skippers and owners who are friends and operate classic yachts. 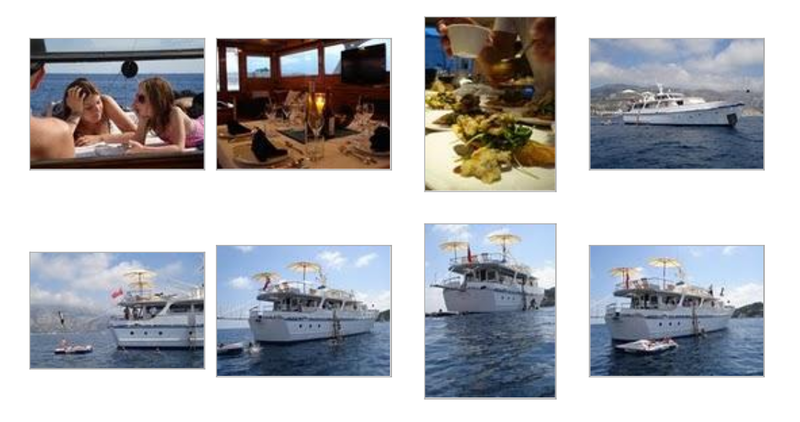 If you would like to just chat about it or you would like to find out about yacht holidays, get in contact! After all, that is what I like see people doing…having fun on boats! Joshua Slocum (February 20, 1844 – on or shortly after November 14, 1909) was the first man to sail single-handedly around the world. He was a Nova Scotian born, naturalised Americanseaman and adventurer, and a noted writer. In 1900 he wrote a book about his journey Sailing Alone Around the World, which became an international best-seller. He disappeared in November 1909 while aboard his boat, the Spray. 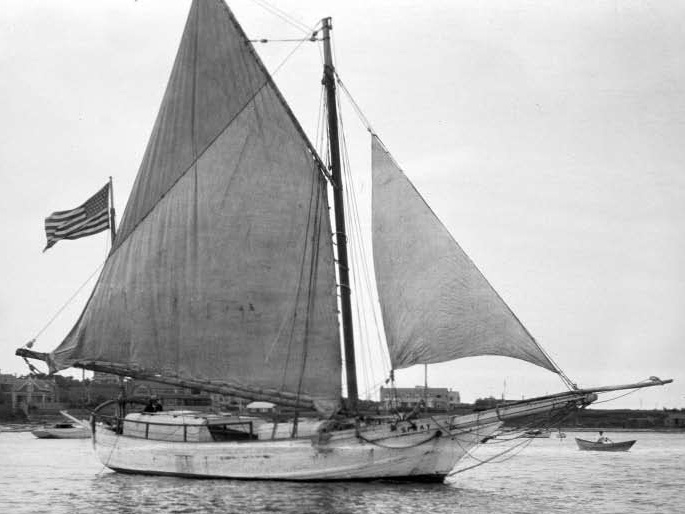 In Fairhaven, Massachusetts, he rebuilt the 36′ 9″ (11.2 m) gaff rigged sloop oyster boat named Spray. After an extended visit to his boyhood home at Brier Island and visiting old haunts on the coast of Nova Scotia, Slocum took his departure from North America at Sambro Island Lighthousenear Halifax, Nova Scotia on July 3, 1895. Slocum navigated without a chronometer, instead relying on the traditional method of dead reckoning for longitude, which required only a cheap tin clock for approximate time, and noon-sun sights for latitude. On one long passage in the Pacific, Slocum also famously shot a lunar distance observation, decades after these observations had ceased to be commonly employed, which allowed him to check his longitude independently. However, Slocum’s primary method for finding longitude was still dead reckoning; he recorded only one lunar observation during the entire circumnavigation. Slocum normally sailed the Spray without touching the helm. Due to the length of the sail plan relative to the hull, and the long keel, the Spray was capable of self-steering (unlike faster modern craft), and balanced stably on any course relative to the wind by adjusting or reefing the sails and by lashing the helm fast. He sailed 2,000 miles (3,200 km) west across the Pacific without once touching the helm. More than three years later, on June 27, 1898, he returned to Newport, Rhode Island, having circumnavigated the world, a distance of more than 46,000 miles (74,000 km). Slocum’s return went almost unnoticed. The Spanish-American War which had begun two months earlier dominated the headlines. After the end of major hostilities, many American newspapers published articles describing Slocum’s amazing adventure. You can google anything about this incredible feat, one of my favourite stories. All credit for this article goes to WikiPedia. Oh, we have Classic yachts in Panama too! How Does A Sailboat Achieve Speeds of More Than Twice The Wind?